The earthquake and tsunami that destroyed three of five nuclear power plants at Fukushima, Japan, in 2011 has strayed from the news recently, but the disaster is still there and getting worse by the day, Japanese officials say. Scientists at the Daiichi nuclear plant this week declared a state of emergency after information gained from a robot revealed that one of the reactors has apparently burned its way through the bottom of the containment core and may be falling into the rock formations and possibly the ocean waters under the plant. The disaster is somewhat comparable to a runaway atomic bomb that no human manufactured device is capable of bringing under control. At least three of the Tokyo Electric Power Company (TEPCO) plants in the complex have gone into meltdown, and company officials are still attempting to find a way to get this disaster under control. 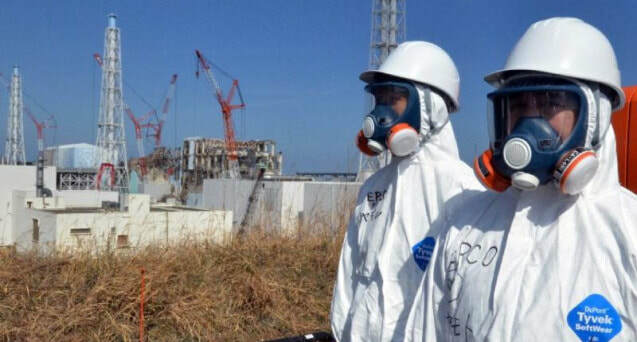 A report Juliana Rose Pignataro this week noted that experts at the scene told the Japan Times that lethal levels of radiation have reached “unimaginable levels.” New measurements are showing radiation levels of 650 sieverts per hour. That level just one year after the disaster was measured at 73 sieverts. One sievert of radiation is enough to cause radiation sickness in a human, officials say. Only 8 sieverts is considered a deadly dose. The radiation in the destroyed plant is so high that especially designed robots are incapable of operating for more than a few minutes. It was in February that Fukushima workers discovered what they believed was a meter-wide hole that was burned through reactor 2’s back-up cooling system. This was obviously created by hot melted nuclear fuel that is penetrating that system and finding its way into the ground water. Some people worry that the core has literally burned its way through the containment vessel. TEPCO officials are not admitting this has happened but at least one person admitted that they don’t really know where the core is. That radiation levels are raising to such an extreme suggests that the worst fears are happening, and no one has any idea how to stop a pending disaster of unimaginable proportions from occurring not only in Northern Japan but throughout much if not all of the Norther Hemisphere of the planet.